The actress Angela Sarafyan became famous after the role of a robot Clementine in the film "Westworld" and participation in popular American TV series. Angela was born in Yerevan, Armenia in June 1983. Her father, Grigor, also was an actor. He was skeptical when his daughter decided to follow in his footsteps. At the same time, the little girl wanted to become a doctor and a truck driver, a teacher, and a saleswoman. In 1987, her parents moved to America. In a new country, Angela attended a ballet school. The girl was inspired by such films as "The Terminator" and "RoboCop." Angela’s father told her a "terrible secret" that the blood in the films is not real. But, watching the death of the hero played by Arnold Schwarzenegger, Angela decided that she wanted to be in that world. The young actress debuted in the series "Judging Amy." The film, which was released in 2000, tells about the judge for a family court. The heroine Amy Brenneman divorced and brings up the child alone. Angela Sarafyan in the series "The Mentalist "
In 2002, Sarafyan was invited to play an episodic role in the popular TV series "Buffy the Vampire Slayer" where Sarah Michelle Gellar starred. Then the actress starred in the crime drama "The Shield" about the policeman, "CSI: NY," the thriller "Trapped" about the former CIA agent (played by Kiefer Sutherland),. The girl also appeared in a video clip of Britney Spears on the song "Stronger." In the period from 2007 to 2009, Angela starred in several series of "The Mentalist," a series about a psychologist, who helps to solve crimes while simultaneously searching for the murderers of his wife and daughter. In the most popular youth film "The Twilight Saga: Breaking Dawn – Part 2," she played a vampire, Tia. Rami Malek and Angela Sarafyan in the movie "The Twilight Saga: Breaking Dawn – Part 2." In 2005, Sarafyan got the role in her first full-length film - a comedy-drama "Halfway Decent." Two years later Angela in two films - "On the Doll" and "Kabluey." The first one tells about the consequences of child abuse. There was a lot of profanity, alcohol, and violence. That’s why it was recommended only for adults. In the second film, Sarafyan starred along with Christine Taylor, Lisa Kudrow, Chris Parnell, and director and scriptwriter Scott Prendergast. Angela starred with Tom Selleck in "Blue Bloods," with Maggie Q- in the adaptation of the action film by Luc Besson "La Femme Nikita." In the drama "The Immigrant," Sarafyan played a girl who came from Poland to New York in search of a better life and was taken to the hospital. To save the heroine, her sister (played by Marion Cotillard) agrees to work as a prostitute. Angela appeared in the cult television series "American Horror Story," which was nominated 230 times and got 60 different awards. Angela Sarafyan in the series "American Horror Story." In 2013, the actress starred along with Harrison Ford, Liam Hemsworth, and Gary Oldman in the film about the moral side of industrial espionage "Paranoia." In the militant "Mercury Plains," Sarafyan appeared along with the son of Clint Eastwood - Scott. The next year, Angela got the main role in the fantastic thriller "Westworld." 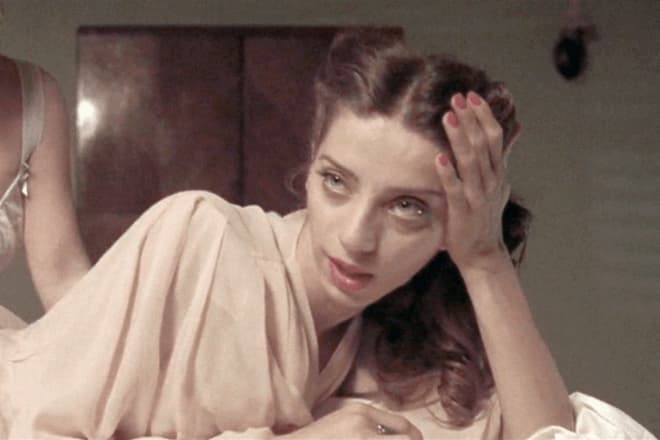 Sarafyan turned into a robot prostitute Clementine, but the actress saw the personality behind the mask of the doll. Angela Sarafyan in the series "Westworld "
In the era of the Wild West, according to the actress, women of this profession were treated like any other woman who worked. The doll uses her attractive appearance and computer "brains" in her interests. The attack of Clementine on the heroes of Anthony Hopkins and Geoffrey Wright reminds her of terminators and once again shows the danger of the machines over the human. Playing a robot, Angela made a conclusion that her character is more human than it seems. The only question is whether the machines can empathize. 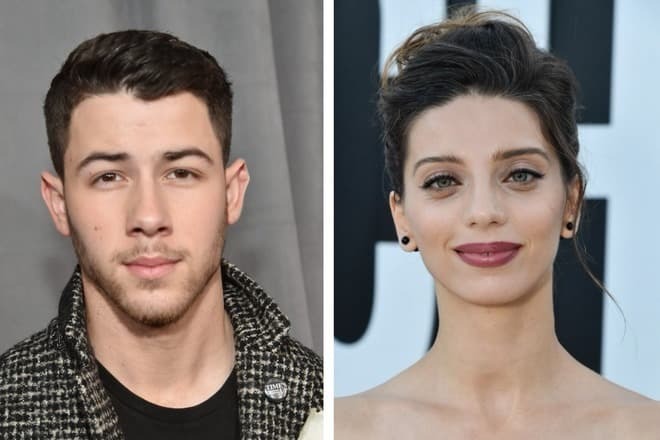 Hollywood tabloids wrote a lot about the relationships of the actress with the musician Nick Jonas. The member of the popular boy’s band Jonas Brothers was previously dating Selena Gomez, Miley Cyrus and Olivia Culpo. And all his partners were older than him. After Angela, the man went to Priyanka Chopra. 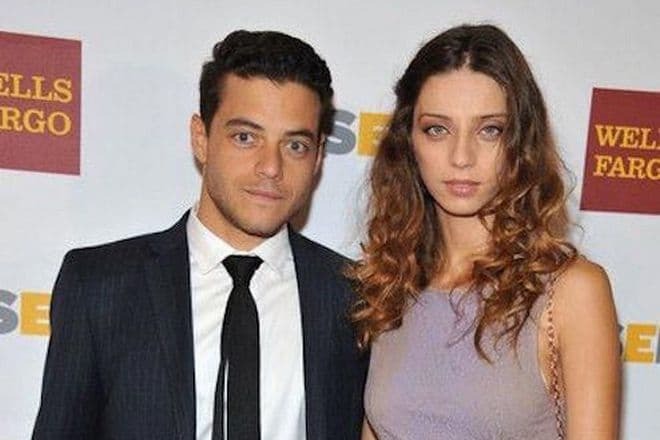 There was no confirmation of the close relationship of the actress with her partner in "Twilight" Rami Malek. In one of the interviews, Angela, talking about the feelings of the characters to each other, made a parallel with the story of Antony and Cleopatra. The actors appeared together everywhere. And their fans believed that their relations from the screen went into real life. But neither of them confirmed this information. According to rumors, Sarafyan's husband was a director and playwright Narek Gaplanian. He also was born in Armenia and moved to America. Narek wrote the script and music for the film "Lost and Found in Armenia," in which Angela starred along with Dave Sheridan and Jamie Kennedy. The brunette demonstrated model parameters (height - 173 cm and weight 58 kg) in a photo shoot for MAXIM magazine and in a conversation with a correspondent she told that she is too shy with men. Angela does not like to talk about the details of her personal life. Fans can learn from her "Instagram" only the details of the next event or shooting day. There is no information about her relationships. In 2017, the actress got the role in the drama "The Promise," which tells about the Armenian Genocide. The billionaire Kirk Kerkorian, the main investor and the owner of half the casinos in Las Vegas, gave money for this film. The film takes place in 1915, in the last days of the Ottoman Empire and three young people who try to survive. A year later, there appeared the information that Sarafyan would appear in the film about the serial killer Ted Bundy, who killed 30 people. However, the investigation suggested that there were more victims. Zac Efron played the role of a maniac. John Malkovich appears in the image of Judge Edward Cowart, who sentenced him to death. Angela played the role of the main character played by Lily Collins. The film "Extremely Wicked, Shockingly Evil and Vile" is in postproduction. 2004 - " CSI: NY"
2007 - "On the Doll"
2015 - "Me Him Her"
2018 - "Extremely Wicked, Shockingly Evil and Vile"